Healthy Intestinal Flora Promotes Positive Probiotic Balance Supports Immune System* This NOW product has been designed to provide a high potency, balanced blend of the two prominent species of resident intestinal bacteria. Regular intake of beneficial probiotics can aid in maintaining healthy intestinal flora. * Nutrition Info: Serving Size: 1 Capsule Servings Per Container: 60 Amount Per Serving % Daily Value Stability tested to guarantee the following minimum potencies through expiration date. 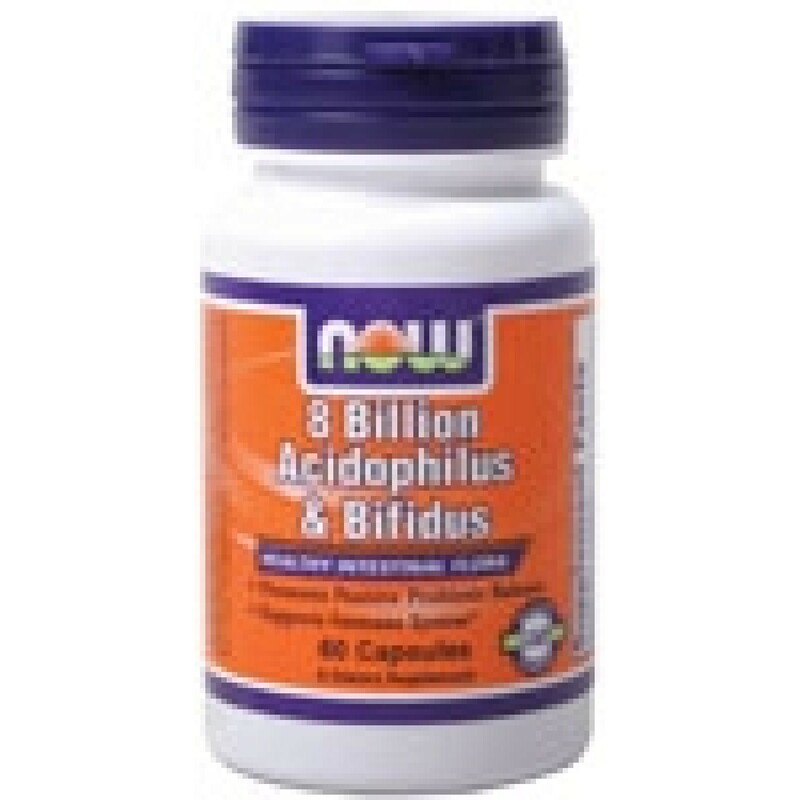 Lactobacillus acidophilus 4.0 Billion (50%)* Bifidobacterium lactis 3.2 Billion (40%)* Bifidobacterium longum 0.8 Billion (10%)* Total Minimum Microorganisms 8.0 Billion (100%)* * Percent Daily Values are based on 2,000 calorie diet. â€ Daily Value not established. Details: Serving Size: 1 capsule Suggested Usage: As a dietary supplement, take 1 capsule 1 to 2 times daily between meals or on an empty stomach. Consider taking this product in combination with a NOWÂ® fiber supplement, Nutra FloraT FOS and Optimal Digestive System. Other Ingredients: Potato Starch, Gelatin (capsule), Cellulose, Silica and Magnesium Stearate (vegetable source). Contains milk derivatives. Contains no: sugar, salt, yeast, wheat, gluten, corn, soy, egg, shellfish or preservatives. Caution: Do Not Eat Freshness Packet. Keep in Bottle. Disclaimers: *These statements have not been evaluated by the FDA. This product is not intended to diagnose, treat, cure or prevent any disease. Note for those highly sensitive to milk protein: This product may contain inute amounts of casein. Settleing of powder may occur in the capsule, which is filled by weight not volume. 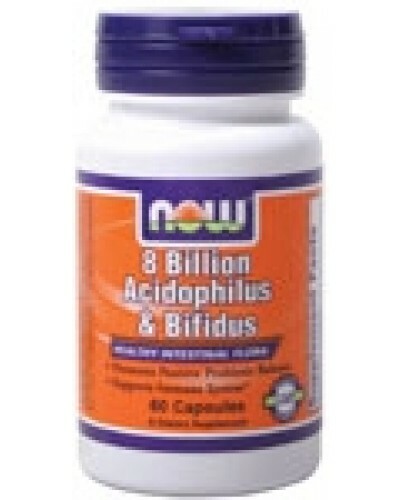 Provides 10 Billion microorganisms per capsule at time of manufacture. Keep refrigerated to maintain high potency. Please Recycle.